A quick view of the most influential metrics in Magnificent Mile. Magnificent Mile - Perhaps the most upscale section of the Michigan Avenue area of Chicago, Magnificent Mile runs all the way from the Chicago River to the Near North Side's Oak Street and is the main gateway between the Gold Coast and the Chicago Loop. The Mile houses the most luxurious brand names in department stores, retail companies, restaurants, financial services and residential buildings. Living on the Mile can get quite expensive, but the luxury and the walking distance proximity to landmarks like the Trump International Hotel and Tower, the Olympia Centre, the Tribune Tower, the McGraw Hill Building and the Allerton Hotel is more than worth the premium. 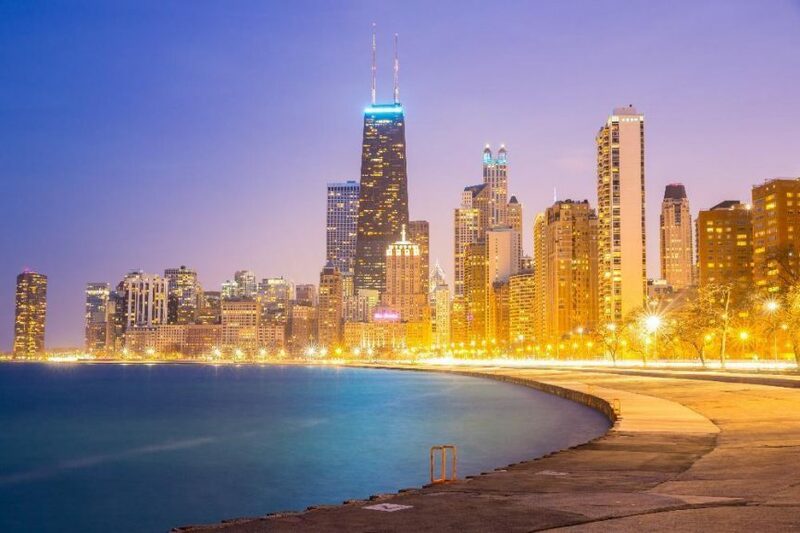 Property listings for Magnificent Mile. Market analysis data for Magnificent Mile. Browse through the top rated businesses in the most popular categories Magnificent Mile has to offer.